We are excited to announce the open-source release of the Azure Media Services (AMS) Video Subclipper Plugin for Azure Media Player on GitHub. The Azure Media Player (AMP) subclipper plugin provides a user interface to find subclip mark-in and mark-out points on a live or video-on-demand stream. 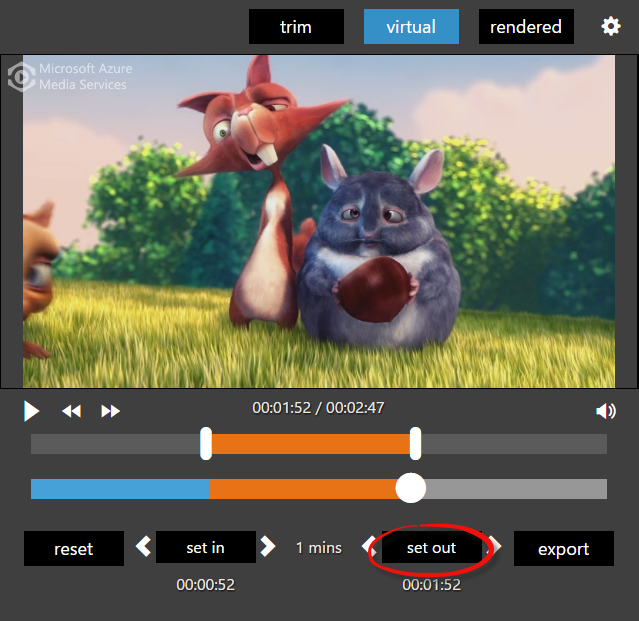 The plugin outputs the mark-in and mark-out points in the stream that can then be consumed by a video content management system or the Azure Media Services subclipper API to produce dynamic manifest filters or new subclipped rendered video assets. This tool allows users to find mark-in and mark-out points with group-of-pictures (GOP) accuracy or frame accuracy. Special thanks to Ian N. Bennett for his help and contributions to this project. A public, hosted deployment of the subclipper is available at the Azure Media Subclipper Plugin webpage. This deployment supports subclipping from URL-sourced videos. A detailed usage guide is available in our repository documentation. Below is a preview of the subclipper interface. The subclipper supports three output modes: trim, virtual, and rendered. Trim mode is segment boundary (GOP) accurate and creates a clip starting from the segment boundary closest to the mark-in point and ending at the end of the stream. Virtual mode is segment boundary accurate and creates a clip starting with the segment boundary that is closest to the mark-in point and ending with the segment boundary that is closest to the mark-out point. Rendered mode creates a new clip starting with the frame that is closest to the mark-in point and ending with the frame that is closest to the mark-out point. Frames are calculated based on the frame rate which can be set in the settings. With mark-in and mark-out points set (mark-out not required for Trim mode), the export button will be enabled and you can export your clip data. 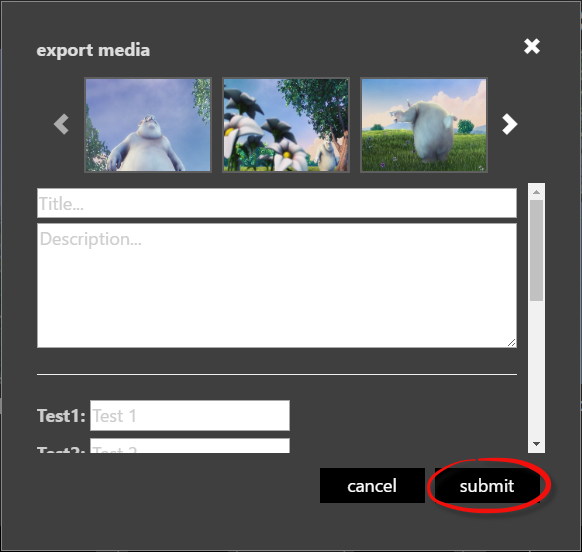 Clicking on export will open the submit dialog. When the submit dialog first opens, you’ll see a loading indicator, which will be present until the thumbnails are generated. After the thumbnails are generated, you can select a thumbnail, set a title, set a description, and also set other metadata depending on whether or not the provider has added custom form fields. With the thumbnail chosen and the metadata set, you can export the data by tapping/clicking on submit. After exporting the clip data, the provider’s application can process the data accordingly. 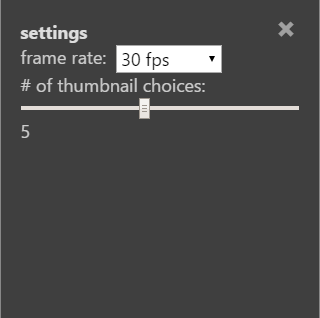 There are two settings that you can modify to change the behavior of the subclipper, frame rate and number of thumbnail choices. Frame rate should be set to the frame rate of the source stream. The supported frame rates are 23.976 fps, 25 fps, 29.976, 30 fps, and 60 fps. The frame rate setting will be used to find the frames in the stream. The number of thumbnails setting determines how many thumbnail choices are generated in the submission dialog.